So reads a letter in defense of the call by Rep. Maxine Waters to harass Trump administration officials. “The concept of respect is culturally mediated; there is no single, objective standard,” it concludes. There are clear objective standards. They include not harassing the people you disagree with in their private lives. The only people who think that standard is “culturally mediated” are leftist thugs. But the lefty letter, which claims thousands of signatories, is not unique. Nor is its message. A New York Times op-ed declares that civility is the “misguided obsession” of “white America.” According to a CNN analysis, not being harassed while you’re having dinner is a form of “privilege”. “Civility is a tool of white supremacy," a Samantha Bee writer tweeted. According to Simran Jeet Singh, a Henry R. Luce Post-Doctoral Fellow at NYU’s Center for Religion and Media, civility is a "power play by those who feel that white supremacy is under threat." If civility and manners are racist, then rudeness must be the new civil rights movement. But no amount of citing Martin Luther King in defense of harassing Trump staffers having dinner will change his speech to, "I have a dream that my four little children will one day be rude, obnoxious and entitled snowflakes." Civility arguments predate the recent harassment of Trump officials. After being battle tested in online leftist forums where calls for politeness were denounced as “tone-policing,” they were deployed to college campuses where critics of racist harassment were attacked for imposing a “white -informed civility” on furious protesters. Two sets of values were in collision. On one side were the basic norms of public behavior, and on the other was the great bigoted crusade against bigotry. It was inevitable that the norms of manners, decency and civility - like everything else that obstructed the great crusade - would be deemed racist. White supremacy has been redefined as anything that interferes with the left. Beyond civility, the rule of law, equality, due process and freedom of speech have all been deemed the tools of white supremacy. Racism is the new witchcraft. Just like witches, it’s everywhere and in everything. "Milk, it has been argued of late, is the new symbol of white supremacy in America, owing to its hue," the Los Angeles Times discourses. At the University of Michigan, wood paneling was accused of marginalizing minorities. In Oakland, racist scooters are threatening the lives of black people. "Mathematics itself operates as Whiteness," a University of Illinois professor claimed. Are civility, manners and decency racist? As much as milk, wood paneling, math and scooters. When everything is racist, nothing is racist. And nothing is racist because the leftist obsession with race has nothing to do with black people. This use of racism or white supremacy exploits black people as props, but is actually only a thin pretext for the left to fight the wars that it wants to fight anyway. And the black people who show up are taking part in a Marxist minstrel show. But on the video, the mob being hectored by the world’s oldest millennial is a sea of white. Aside from Waters, there is one other black person in front of the camera. The rest appear to be mostly older white people from the upper middle class who look like they just stepped out of a mall. Their clothes run to business casual. It’s as far from a crowd of oppressed minorities as you can get. 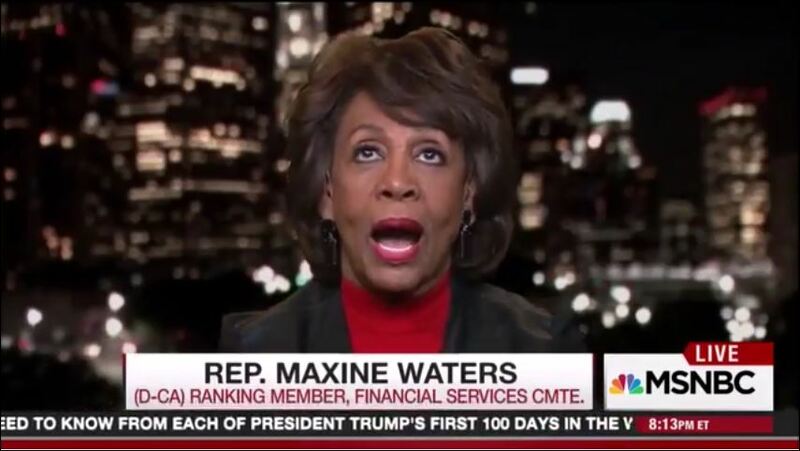 But that’s typical for Waters whose phony #resistance shtick is sucker bait for angry white lefties who, like the political dumpster diva, are far away from her minority district. Racializing Waters’ call to white lefties to terrorize political opponents is typical of how the left uses minorities to justify its violence. Dozens of media spin pieces tried to cite Martin Luther King to justify Waters’ rhetoric. That’s not civil rights. It’s political blackface. The issue isn’t race, it’s ideology. The left manufactures a crisis to create a sense of urgency. The norms, legal and social, cannot be allowed to get in the way of the urgent crisis. The petty preoccupations of the bourgeoisie with manners, property, legal rights or their lives can’t be allowed to interfere. With this same tediously murderous logic, the left took millions of lives in the name of its urgent crises. Civility and manners aren’t racist, but they are counterrevolutionary. Revolutions kill by urgency. They upend everything, declare an endless national crisis and settle down to solving it with decades of genocide. And there’s no room for civility or manners when your jackboots are full of blood. The revolutions of the left unleash political terror against those who disagree, then those who insufficiently agree, then those who agree out of thoughtful conviction rather than mindless obedience. Once upon a time the left used class to justify violent purges by its upper middle class leadership. In the United States, the left uses race to justify violent purges by its upper middle class white leadership. Otherwise the rhetoric, the predatory crocodile tears for the oppressed, the violent outrage that purports to be rooted in political empathy, when it’s actually based on personal ego, the calls for violence on the behalf of the empathy props, is the same. The left pretends that its hatred is empathy, and the empathy of those who still believe in social norms is actually a form of cruelty. If you don’t believe in terrorizing those you disagree with, where is your compassion for others? Political blackface needs its Marxist minstrel show radicals. Auntie Maxine hoarsely bellowing at the population of a Gap store is as silly as anything from the Madea movies. It’s hard to believe that Rep. Maxine Waters (D – Anywhere But Her District) isn’t just a character that Tyler Perry invented. 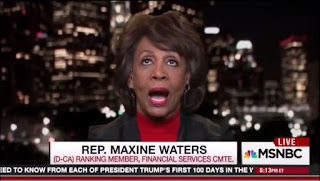 Maxine Waters, who doesn’t care about anything that doesn’t involve her husband’s bank, is a pretext for white lefties to attack white conservatives in the name of civil rights. Despite winning elections by 70% margins, she’s raised $707,986. Waters doesn’t need the cash to win her inevitable elections. Using black people as a cover for leftist violence isn’t a new tactic. But leftist violence doesn’t come from the oppressed. It’s perpetrated by the oppressors using social justice as a false flag for their violence. When you hide your thuggery behind black people, you can denounce civility as a racist conspiracy against black people. But civility isn’t racist. White lefties wearing political blackface to claim that black people are physically incapable of having manners or conducting civil protests are as racist as it gets. Political blackface is racist. And political violence by any race is terrorism. And a crime. Civility isn’t racist. The left is. 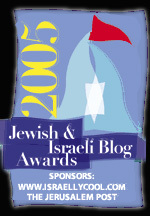 Daniel Greenfield is a Shillman Journalism Fellow at the David Horowitz Freedom Center. 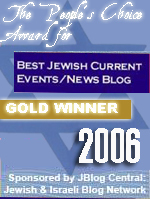 This article previously appeared at the Center's Front Page Magazine at the following link. The Left isn't going to like living by their new rules. We on the right should treat them exactly as they do so us. Thank you, to quote Ben Franklin: "Truth will patiently wait for us." Marxism may use blacks as props, but the bottom line is that it works every time. European culture Whites in uniquely white need to find some Age of Enlightenment universal law for universal "Mankind" will find some black who is the exception.. (calling Thomas Sowell, Calling Alan West.) but they represent at most 1-5% of the black population. The search for a world beyone race is like the belief in "A Rainbow Nation" that was suppose to characterize the New South Africa. But the Reality of Race took over. Whites that gave their country away in return for Clinton Promises are now huddled in their houses with roof set on fire by the howling black mob outside waiting for the Last White Man to make a run for it. My way with the hysterical left is either to ignore them, or ridicule them. By ignoring them I mean I completely divorce myself from all MSM no news TV, or newspapers and I block them from any engagement. There is enough work for us encouraging our own. Devising ways to defeat the globalism of the New world Order and all wars which out people pay for. That does not mean having no defence. As Remus says Load and lock. Be ready and be fearless. There's another photo of Mad Maxe Waters, the type of which always reminds me of Roseanne Barr's honest tweet. I've noticed that Maxine Waters never wears the same suit. She's always impeccably dressed at the expense of the poor people of her district. Watch her blather on BSNBC for yourself.